In an effort to increase access to health care for its community, Fountain House, a leader in supporting people with mental illness in their quest for normal lives, provides primary medical and counseling services at a storefront clinic. 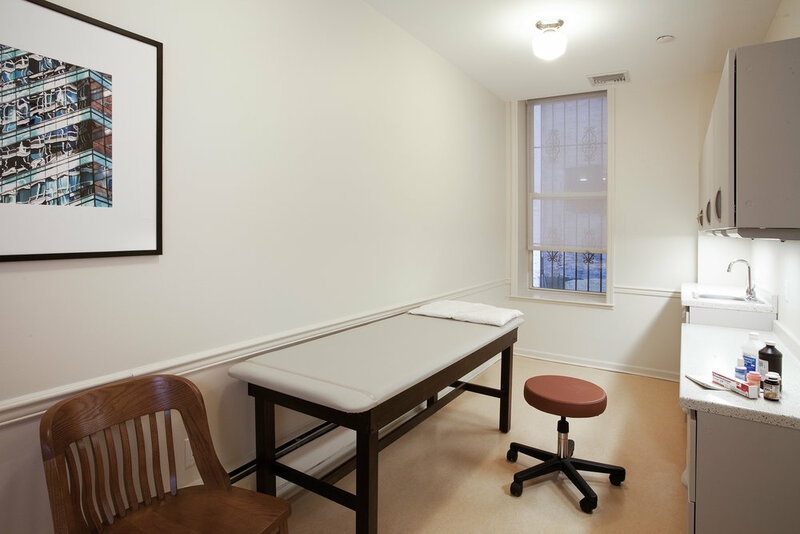 In this pilot project, two floors of a group home were repurposed to be a welcoming and friendly place to get medical care. Colors and materials reinforce the inviting tone.